Subtitle: "Blood In The Streets" strategy is working to perfection! 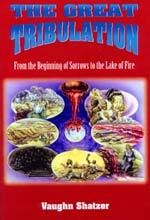 Additionally, Bible the stage is being set for prophecy to be fulfilled -- Joel 3, Zechariah 12 and Obadiah 15-18. Islamic strategists in the Middle East region now believe that their forces have beaten the two Western "Great Satans" -- Israel and America. This belief is key to understanding the terrible consequences which the Illuminati has planned for this region. Further, this false belief is seemingly setting the stage for the fulfillment of one of the most startling End of the Age prophecies of all -- Zechariah 12. Why is Zechariah 12 so startling? Because God vows that He will cause immensely powerful armies to attack Jerusalem, time and time again. But, God vows that He will personally protect tiny Israel from defeat! At the end of this article, we shall examine this prophecy more closely. For now, let us examine the belief that the Palestinian Hezbollah fighters defeated the might Israeli Defense Force (IDF) in the 33-day Lebanon War! "JERUSALEM - However hard Ehud Olmert tries to spin it, the UN cease fire that began this week is a disaster for Israel and for the war on terrorism generally. With an unprecedented green light from Washington to do whatever necessary to uproot the Iranian front line against Israel, and with a level of national unity and willingness to sacrifice unseen here since the 1973 Yom Kippur War, our leaders squandered weeks restraining the army and fighting a pretend war. Only in the two days before the cease fire was the army finally given the go-ahead to fight a real war." Other Israeli articles have appeared since the cease fire was announced, stating that PM Olmert unnecessarily tied the hands of IDF leaders, essentially preventing the ground forces from fully achieving the stated goal of destroying the war making capability of Hezbollah. While this may be true, remember that Olmert was following the basic script handed down to him by the global Illuminati. Now, this Jewish author lists the various disasters inherent in this Lebanon war. "... our failure to uproot the jihadist threat .... will return for another and far more deadly round"
This author believes that the Arabs in the region quickly won the Public Relations battle, especially once it became clear that the IDF was not winning easily and quickly. "... as the weeks dragged on and Hezbollah appeared to be winning, moderate Arabs adjusted accordingly. They didn't switch sides because we were fighting too assertively but because we weren't fighting assertively enough." About 100 demonstrators arrived Thursday at the Rabin Square in Tel Aviv and called on the political echelon and on Prime Minister Ehud Olmert to resign in light of the 'Lebanon war failure'. The demonstration participants held signs reading 'Defeatists go home', 'Olmert, did your sons fight?"' and 'Olmert =Chamberlain'." These are strong words, indeed. One of the protestors lashed out at Olmert in a particularly articulate manner. In this heated rhetoric, the IDF is not coming forth with any meaningful analysis as to the degree to which they degraded the capability of Hezbollah. Even if they did issue such a report, it is likely that people will not give it much credence. Since the "proof is in the pudding", the final analysis as to how significantly the IDF destroyed the war making capability of Hezbollah will be determined by the number of terrorist rockets raining down upon Israeli towns and cities in the coming weeks and months. Hezbollah did surprise many in the successful manner in which her fighters resisted the vaunted IDF. Israel claims that she was caught off-guard by the numbers of sophisticated arms Hezbollah fighters wielded, especially Russian anti-tank weapons. "Hezbollah’s troops are using modern and sophisticated Russian-made anti-tank missiles against Israel’s army in fights in the South of Lebanon, Israel’s defense minister Amir Peretz said Wednesday ... 'We are fighting against the Iranian commando, which is armed with sophisticated, modern weaponry. This includes Russian-made anti-tank missiles, which in the past it was promised would not fall into the hands of Hezbollah. This weapon is used today against IDF soldiers in Lebanon', Peretz said ... Hezbollah used Russian-made RPG-29 anti-tank missiles, which were sold to Syria by Russia, and then to Hezbollah. RPG-29 missiles are able to break through the heavy armor of Israel’s 'Merkava' tanks. Hezbollah fighters also use RPG’s against Israeli troops." Most of the dead and wounded, some reports indicate, came from these deadly Russian-made weapons. However, the IDF knew Hezbollah possessed these weapons, and yet seemingly did not adapt her armored tactics to neutralize this weaponry. This fact is leading many to criticize Olmert for his "micromanagement" of this war. Will Prime Minister Olmert be made the "fall guy" for the fact that the IDF did not achieve its stated objectives? In fact, why is this entire scenario being spun into an embarrassing defeat for the IDF? The probable answer may surprise you. Hezbollah's success against the IDF has energized the entire Arab world. It seems like the Arabs now believe they can meet, and defeat, Israel on the battlefield. Jerusalem (CNSNews.com) - Islamic Jihad fired rockets similar to Hezbollah's katyushas at the southern Israeli city of Ashkelon on Monday just as the cease fire between Israel and the Hezbollah terrorist organization was beginning to take hold. But even before the cease fire, a Hamas columnist said that Palestinians would be the greatest beneficiaries of what he called the Hezbollah victory. He said it paved the way for a third Palestinian uprising ... Hezbollah congratulated the Lebanese people on their 'big victory' over Israel in a leaflet distributed to citizens on Monday." "Hezbollah claimed victory when Israel withdrew unilaterally from a south Lebanese security zone six years ago, in May 2000 - a move that inspired Palestinians to launch their violent uprising later that year ... And now, after the cease fire [hudna] has been tried and the experience of changing the [Palestinian] Authority reached its peak, the door will be opened for a third Palestinian intifada, that will transform the resistance from the stage of reaction [to Israeli] actions to [resistance] that is carried out at our initiative', he said, according to a translation provided by the Middle East Media Research Institute." 1) Note that Hezbollah leaders are calling the UN ceasefire a "hudna". What is a hudna? It is a temporary cessation of hostilities mandated by the Prophet Mohammed when Islamic forces find themselves hopelessly outnumbered and/or outgunned. During this strategic ceasefire, Islamic forces are to build their capabilities up, while trying to deceive the enemy as to their intentions. Then, once Islamic forces are built up to where they have the military advantage, they are to strike without warning, annihilating the enemy forces facing them. It is highly significant that Islamic leadership is now thinking of the UN ceasefire as a "hudna", for such thinking reveals their true intentions. 2) "will transform the resistance from the stage of reaction [to Israeli] actions to [resistance] that is carried out at our initiative"
What does it mean "resistance carried out at our initiative"? This wording means that Hezbollah leaders want to begin a strategy which will lead to the scenario where they will plan and carry out the attack on the Israelis. We have known for almost 10 years that an Arab plan exists which envisions the Palestinians, Syrians, Iranians, Jordanians, and Egyptians attacking Israel, don't we? We quoted from that plan, above, in our article NEWS1056. Remember, this is a plan reported by the U.S. House of Representatives' Task Force On Terrorism And Unconventional Warfare in 1997. Prior to this war in Lebanon, Arabs felt helpless against a seemingly unbeatable Israeli Defense Force. Now, after this war, a lot fewer Arabs look at the IDF in such a revered light. Are the Arabs being led to believe they can actually beat the IDF? Many years ago, I recall Labor leader Shimon Peres being asked by a Labor party official why the Israeli government was allowing the Palestinians to continue receiving increasingly sophisticated weaponry. This Jewish party leader stated that "the time is surely going to come where the Arab will pull out their big guns". Israel also possesses Fuel Air Bombs, which explode with the fury of a small atomic bomb. Is it possible that this whole scenario is being spun so as to deliberately embolden the Arabs into thinking that, with their Russian-made weaponry, they really and truly can defeat Israel? If the Arabs attack as the Congressional report we quote in NEWS1056 foresees, Israel will have all the right to fire back with every weapon at her disposal. Given this possibility, the seemingly ludicrous manner in which the IDF fought in Lebanon begins to make sense. However, the real outcome of this entire failed war scenario is to embolden Muslim leaders and armies throughout the world that, finally, Islamic armies have the capability to fight a war against the fearsome and "invincible" Israeli Defense Force and WIN! Since Israel came back to her land in 1948, Arab armies and the nations who sent them have been repeatedly humiliated by the specter of defeat against such a tiny army. I mean, how does it look to the world when less than 6 million Israelis can field an army which defeats the mighty Arab armies which have been drawn from a population of over 360 million Arabs? Since the 1973 war, Israel has modernized to the point where her armed forces are clearly superior to the much more numerous Islamic forces. However, if the vastly greater numbers of Arab military forces could achieve even a partial parity, they could launch a war in which they could annihilate the Jewish army and the Zionist nation. Arab leaders have believed in their heart of hearts that they could afford to launch a war in which Israel might kill 300 million Arabs; however, if Israel were destroyed, the Arabs could begin repopulation of the Middle Eastern region with their 60 million left-over people! This is the depth of the hatred Arabs have toward Israel. Thus, you can see the truth of the video, "Relentless", that peace between Arab and Jew is simply impossible! Now that we have seen how the Arab leadership can really believe they "won" the Lebanon War and can "win" a final war with Israel, let us examine how they are coming to believe the same thing about America, through President Bush's deliberate loss in the Iraq War. Since the November election, I have been shocked over the number of Illuminati leaders expressing their personal belief that America has lost the Iraq War! These leaders range from politicians to consultants, to famous CFR people, and to mass media columnists. From whomever this mantra of war loss came, it was always the same: Bush has led America into a failed war. Islamic strategists have got to be literally licking their chops in anticipation! "LONDON -- Military victory is no longer possible in Iraq, former Secretary of State Henry Kissinger said in a television interview broadcast Sunday. Kissinger presented a bleak vision of Iraq, saying the U.S. government must enter into dialogue with Iraq's regional neighbors _ including Iran _ if progress is to be made in the region. 'If you mean by 'military victory' an Iraqi government that can be established and whose writ runs across the whole country, that gets the civil war under control and sectarian violence under control in a time period that the political processes of the democracies will support, I don't believe that is possible' ..."
When an Illuminist as important as Henry Kissinger goes on BBC radio to tell the world that the war into which President Bush plunged America is not winnable, that is huge news. Kissinger is a member of the Council on Foreign Relations (CFR), the Trilateral Commission, the Bilderberger Group, and the occult "Council of Nine", headed by none other than Prince Charles. Remember what we have been saying since February, 2004, when we first called your attention to the spectacle of one committed Globalist severely criticizing another equally committed Globalist in public. When you see that occurring, you know that you are looking at the public outworking of a scripted ending. The scripted goal seemed to be a severe discrediting of President Bush, a discrediting campaign which might even result in his impeachment. We still believe this strongly. However, a strong side affect of this high-level campaign to discredit Bush is that Islamic leaders listen to this public discourse, believing that America is being defeated feeling very encouraged to keep the pressure on Coalition Forces - even to launching ever-increasing attacks. If they feel emboldened enough, they might even launch a type of "Tet Offensive", trying to inflict heavy Coalition forces casualties on the one hand while swaying public opinion against the war on the other hand. We feel the chances of this type of all-out nation-wide offensive increases with every one of these public pronouncements. When President Bush announced the "resignation" of Defense Secretary Rumsfeld, he very quickly nominated Robert Gates (CFR) to be his replacement. Therefore, Gates can correctly be considered a "Bush insider". Therefore, when he says American forces are not winning the Iraq War, that story quickly reverberates around the world -- including in Arab capitals! "Robert Gates, the White House choice to be the next defense secretary, conceded Tuesday that the United States is not winning the war in Iraq and warned that if that country is not stabilized in the next year or two it could lead to a 'regional conflagration'. At the outset of his Senate confirmation hearing, Gates said he is open to new ideas about correcting the U.S. course in Iraq, which he said would be his highest priority ... Asked point-blank by Sen. Carl Levin, D-Mich., whether the U.S. is winning in Iraq, Gates replied, 'No, sir'." The United Nations Secretary General was another committed Globalist to jump on board this bandwagon. "GENEVA, Nov 21: US forces are trapped in Iraq, United Nations Secretary General Kofi Annan said on Monday, warning Washington must find the right time to leave without plunging the country deeper into chaos. 'On the question of the military presence, it is a difficult issue. The US is in a way trapped in Iraq, trapped in the sense that it cannot stay and it cannot leave', Mr Annan told a press conference. 'The timing of its departure will have to be optimal', he added." Did you notice that the issue of American withdrawal from Iraq has changed from a debate as to whether such a withdrawal should occur, to a debate as to when such a withdrawal should occur, and under what circumstances! That is quite the change in the debating focus, don't you think? I think it highly interesting that Annan should use the inflammatory words, "trapped in Iraq". Such words weigh heavily in the minds of public opinion, and I am positive Annan did not use them carelessly. Notice in the next segment, Annan is falling back on the failed Vietnam model. "He said Washington should instead 'try and get it to a level that when it withdraws, the Iraqis themselves will be able to maintain a situation that would ensure a reasonable secure environment'." The fairy tale that the South Vietnamese could quickly get to the point where their military and their police could protect the country was foisted upon the American people by President Nixon and his National Security Adviser, Henry Kissinger, the very same guy who is now criticizing President Bush. In the quote from Kissinger, above, he stated that American forces must stay in Iraq until the country can stabilize and protect itself; therefore, Kissinger is helping President Bush spin the same lies as he spun while in office under President Nixon. CFR's James Baker has been heading a "Bi-partisan" group studying the total Iraq disaster with the plan of coming up with suggestions as to how President Bush can change his policy. "US President George W Bush has said the Iraq Study Group (ISG) report will be taken 'very seriously' and has promised to 'act in a timely fashion' on it. US broadcaster ABC says the report, to be made public later, stops short of a firm timetable for troop pullout ... According to ABC News, the ISG makes 79 recommendations in its long-awaited 142-page report ... The leaked extracts confirm what many expected ... The ISG had also been expected to recommend a gradual phased withdrawal of US troops over the next 18 months ... the report will back a reduction in the number of US troops in Iraq - perhaps halving it from the current level of 140,000 - as well as changing the nature of their engagement from a combat to a back-up role." " 'The primary mission of US forces should evolve to one of supporting the Iraqi army', ABC News quotes the report as saying ... The report suggests there should be an initial increase in the number of US troops dedicated to supporting Iraqi troops, ABC says, but does not specify whether this will mean an increase in overall US troop numbers before they start falling." In our newsletter for December 6, we noted that this plan for an increase in troop levels strongly suggests that the real plan is for American forces to stage a strategic withdrawal from the countryside to the cities. This withdrawal would need about 20,000 extra troops to provide fire cover for the retreating soldiers. Then, once American forces are in their enclaves, their total number could be safely drawn down. Their role would then shift from active combat to training Iraqi troops and military police. Once again, we see nothing new or groundbreaking in James Baker's report. But, Baker's report severely criticizes President Bush, to the point of lending strength and credence to the mounting wave public pronouncements that Bush is losing the war. "WASHINTON: 'This business about graceful exit just simply has no realism to it at all', President Bush said on Thursday after meeting with Iraqi Prime Minister Nouri al-Maliki. And that's probably the right headline as the administration reviews its options for Iraq: No graceful exit." "The premise of a secret White House policy review conducted over the past two weeks is that current policy isn't working. One of the options that has emerged from this review is a redeployment of US forces over the next year that would focus the American mission on training and advising Iraqi troops ... Every senior official I've talked to recently agrees that the number of US troops in Iraq must be reduced over the next year, even if sectarian violence remains high. The administration is wary of the bold strokes, such as engaging Iran and Syria, that are likely to be proposed by the bipartisan Iraq Study Group headed by former secretary of state James Baker ..."
President Bush seems "caught between a rock and a hard place" in this whole situation. But, this hard rock is exactly what the plan wanted all along -- a deliberate disaster, one which would further sparking the planned World War III. Not only has our invasion and guerilla war so angered the Muslims that they would be willing to wage war against a technologically superior foe, but our policy of deliberately losing this war has greatly emboldened the Arabs into thinking that they just might be able to win an all-out war with Coalition Forces! "While chaos consumes Iraq, Washington is consumed by a debate about whether it's accurate to call the conflict a 'civil war'. While the press corps this week congratulated itself for speaking truth to power, President Bush pointedly rejected the new catch phrase as if that alone could change a course that has cursed Iraq ... In the ruins of that country, the Kurds fly a new flag and put up border crossings, Sunnis and Shiites try to exterminate each other, and al-Qaida controls the western provinces. Iraq is run now by a desperately ineffective prime minister, by corrupt and incompetent military and police forces, by a nascent democracy controlled by fundamentally anti-democratic forces ... In the face of such a catastrophe, Washington debates what to name it all, the kind of sad semantic sideshow that occurs when solutions are hard to find. Call the situation in Iraq whatever you want: Civil war, guerilla war, proxy war, sectarian war, World War III. It doesn't matter. What's going on in Iraq right now is war enough without any qualifiers, and nobody has a clue how to end it." Of course, the Illuminati knows exactly how to end this war -- and it will be as bloody and terrible and threatening to world peace as possible. In fact, an Iraqi implosion could very well cause the conflagration which starts World War III. Remember the somber prediction by New Age author, H.G. Wells as to how the final world war would begin? "More than half a million deaths, an army trapped in the largest military debacle since Vietnam, a Middle East policy already buried in the sands of Mesopotamia - and still George W Bush is in denial .... Washington's project to reshape the Middle East in its own and Israel's image - is long dead, its very neoconservative originators disavowing their hopeless political aims and blaming Bush, along with the Iraqis of course, for their disaster. " "So who is laughing at Bush now? Iraqi Prime Minister Nouri al-Maliki .. receives the same false praise from the American president that Nasser and Brezhnev once lavished upon their generals. "I appreciate the courage you show during these difficult times as you lead your country," Bush tells Maliki. 'He's the right guy for Iraq' .... And the Iraqi Prime Minister who hides in the US-fortified "Green Zone" - was ever a crusader fortress so aptly named? - announces that 'there is no problem'. Power must be more quickly transferred to Maliki .. There can be no graceful exit from Iraq, only a terrifying, bloody collapse of military power ...Iraq is already "split into parts". The fracture of Iraq is virtually complete, its chasms sucking in corpses at the rate of up to a thousand a day." At this point, Mr. Fisk compares the "denial" Bush must be in right now to the mental denial Hitler was in during the last days of World War II. We shall spare you this portion of Mr. Fisk's article, for we do not believe Mr. Bush to be in the same sort of mental and emotional denial; rather, Mr. Bush realizes that he is at the end of a very long and very well-planned script -- a plan which envisioned a lost war for America. The drumbeat that President Bush has failed in Iraq became so strong that one of his top advisers had to deny that America had failed in the war. In reading this, I am reminded of President Nixon insisting -- at the height of the Watergate Scandal -- that "I am not a crook"! "WASHINGTON (AP) - While President Bush acknowledges the need for major changes in Iraq, he will not use this week's Iraq Study Group report as political cover for bringing troops home, his national security adviser said Sunday. 'We have not failed in Iraq', Stephen Hadley said as he made the talk show rounds. 'We will fail in Iraq if we pull out our troops before we're in a position to help the Iraqis succeed'." The mantra of the day on both sides of this political issue seems to be that America must pull out, but not "hastily"; American troops are to pull back from active combat roles into training roles for the Iraqi military and police forces. The concept is that, by June approximately, Iraqi forces will be strong enough to beat back the insurgents on their own; of course, this will never happen, just as it did not happen in South Vietnam. But, the bottom line is now clear: because a wide variety of American leaders have now boldly and repeatedly stated that Bush has lost this war, Islamic leaders and strategists believe that Muslim forces have defeated America in her 4-year Iraqi War. Further, since Muslim leaders also believe Hezbollah defeated Israel during her 33-day Lebanon War, they are more likely to actively engage Western forces in an all-out war. 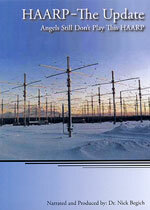 Since Israel possesses Scalar Weaponry and since America possesses HAARP -- both electromagnetic weapons systems -- the annihilation of all Islamic forces on the battlefields of the Middle East is a distinct probability. I see American forces annihilating Islamic armies in at least partial fulfillment of Joel 3, while Israel will defeat wave after wave of Islamic forces coming against her in fulfillment of Zechariah 12. Let us now examine those two dynamic prophecies. With the situation in both Israel and Iraq properly defined, let us see how the stage is being set for Joel 3 and Zechariah 12 to be fulfilled. 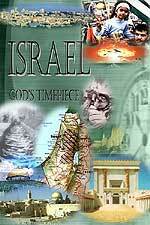 As we go back to the subject of the importance Jerusalem assumes in the Last Days, we see even more shocking prophecy. God states: "In that day, says the Lord, I will smite every horse of the armies that contend against Jerusalem with terror and panic and his rider with madness; and I will open My eyes and regard with favor the hours of Judah and will smite every horse of the opposing nations with blindness." During these many wars against Jerusalem, God will "regard with favor" the city and her Jewish inhabitants, and will cause some form of insanity to come upon the soldiers of the attacking armies so that Jerusalem will be saved. One can only think of the prophecy in Daniel 12:1, where we read: "And at that time of the end, Michael shall arise, the great angelic prince who defends and has charge of your people [Jews]. And there will be a time of trouble, straitness, and distress such as never was since there was a nation till that time. But at that time, your people shall be delivered , every one whose name shall be found written in the Book …"
In Biblical prophecy, when an angelic being "arises" it means he is springing into action. When such a being is pictured as "seated", it means the situation is under control. Thus, the picture we have is that the situation on earth concerning Israel is going to be spinning out of control so greatly that Michael, Israel’s guardian angel, is going to have to "arise" so he can actively defend Israel against its enemies. Because of this angelic protection, Jerusalem shall be successfully defended. God further details how completely He is going to defend Jerusalem. "… they shall devour all the peoples round about, on the right hand and on the left; and they of Jerusalem shall yet again dwell and sit securely in their own place, in Jerusalem." God seems to say that He will deliberately cause foreign armies to come against Jerusalem just so He can destroy them. Indeed, I believe this will be the case. God is using Jerusalem as an anvil against which He shall beat the attacking nations into submission, in Divine Judgment. As America huffs and puffs and moves her mighty high-tech armed forces into position in and around Afghanistan, remember that the key nation in the Middle East is Israel. Not mighty America, but Israel. America is not even mentioned in End Times prophecies in the Middle East, but Israel is literally the anvil, with God beating the nations into submission in punishment for the way in which they have treated the Jews over the past 3,000 years. America will disappear from End Times radar screen, but tiny Israel will dominate! 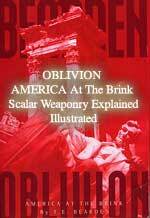 3) Obadiah 15-18 -- Since Cutting Edge has written so much about this obscure prophecy being enacted by Israel as she prepares to annihilate the Palestinians man, woman, and child, we do not need to go into great detail here. Just read NEWS2095 for the somber facts; if you have not heard of this prophecy before, you will be shocked to see how "far down the road" Israel is in setting the stage for fulfillment, in your daily news.